Description: 20 Ways To Get Dofollow Backlinks shows you easy ways to get web traffic and sales by building backlinks. Description: 5 Minute Membership Sites shows secrets to membership site income and continuity profits. Download this system and profit your own automatic income. Description: A List Building Club Trick shows you email marketing news for making cash online with email marketing and internet marketing. Even affiliate marketers can profit with these tips. 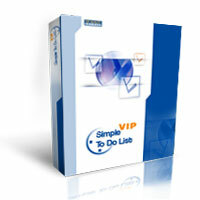 Description: VIP Simple To Do List is an easy-to-use PDA software for you to quickly organize and effectively manage your daily tasks. It uses To Do List method to help you do more in less time. It's an organizer, planner, notepad and reminder combined in one powerful application. Use our software to organize, prioritize and track completion of tasks, manage household projects and events, plan your life for days, months and years ahead. Description: AceFixtures for EURO-2008 is a multi-language calendar showing the schedule of all the qualifying round games and a group standing of each team. Right after entering a new result, it simultaneously calculates the standing and the main statistics for all teams. As AceFixtures doesn't apply the macros system, all the tables are updated in an automatic mode. The calendar works on the same principle as MS Excel, utilizing its interface. Description: Affiliate Promo Formula Download gives the facts about this program for making money on the interent with marketing. Profit from simple affiliate marketing right now with this amazing download. Description: Affiliate Web Site Marketing Secrets Online. Here is how to make quick cash and more. Profit from these affilate markteing secrets. Description: The All-in-one Journal is the most advanced Journal or Diary Software on the market today. It's a full-featured text Journal with the additional abilities to add voice recordings, MP3s, Videos or even Home Movies to your entries. Now you can record and playback your Journal entries in Audio too. It's great for personalizing your entries, recording your children or grandchildren, leaving messages & reminders. You can even add MP3s & Videos.